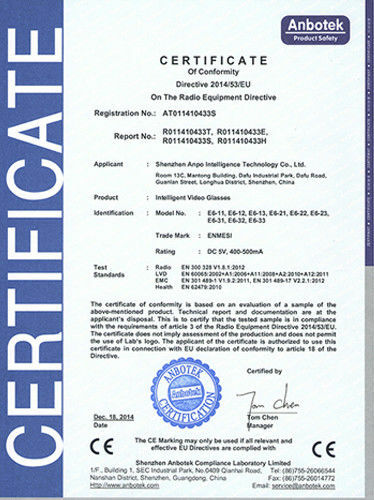 Shenzhen Anpo Intelligence Technology Co., Ltd. was established in Shenzhen in the early 2014 and established its own factory (Dongguan Zhiyingshixun Technology Co., Ltd) in Dongguan with a total area of over 1,000 square meters., and the brand "ENMESI" was registered in the same year. Enmesi is a professional solution provider for smart glasses integrated solutions in the fields of medical, education, industry, security, gaming and audio-visual entertainment. 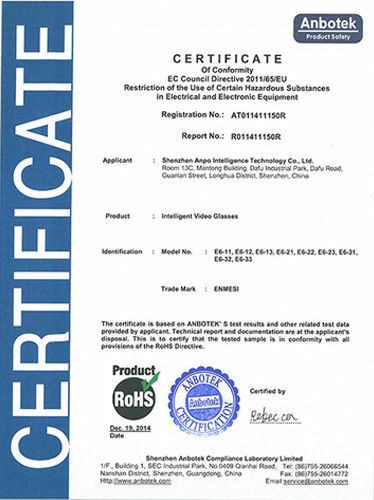 Its main research and development products include integrated solutions for head-mounted displays, 2D/3D intelligent video glasses, FPV aviator video glasses, VR/AR smart glasses, visual training glasses, night vision glasses, and micro display modules. 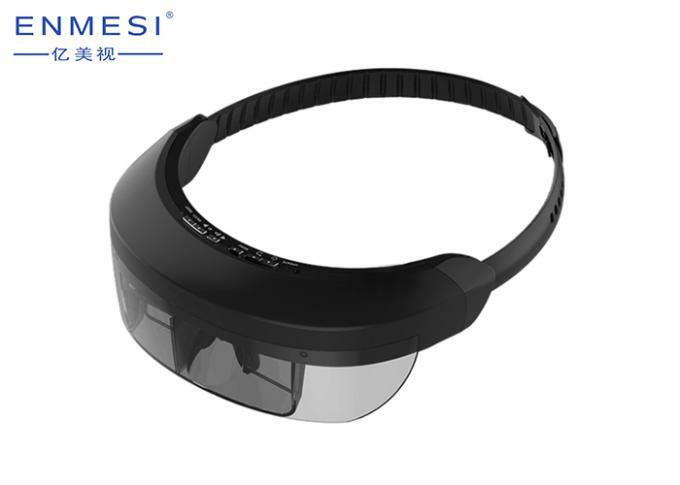 According to the different needs of customers, Enmesi can provide customers with different solutions for smart glasses, providing OEM and ODM services. FPV is the abbreviation of English First Person View, which is “first person main perspective”. It is a new gameplay based on remote control aviation model or vehicle model with wireless camera backhaul equipment and screen control model on the ground. It allows users to experience the feeling of being on the plane. 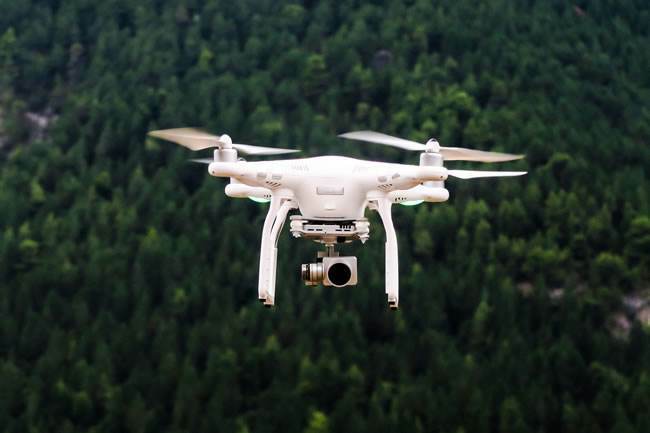 UAVs generally refer to the drones with cameras, and those without cameras can only be regarded as toys. It is generally divided into two parts, one part is the remote control, the other part is the display part which is completed by the image transmission module. The signal transmitter is connected to the camera on the drone, and the signal receiver is in the hands of the player, and some are on the remote controller. Signal receive generally needs WIFI and 5.8GHZ radio signal, but the distance of WIFI is relatively not far, the player can use mobile phone to receive signals, but it will not be clear in the outdoor; and the 5.8GHZ radio signal, the distance can reach 2KM. 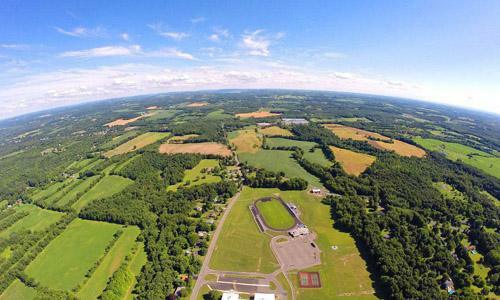 It is best if within a few hundred meters, so most drones use 5.8GHZ radio signal. 3.High configuration:fast running speed,long duration,product light,clear screen,large storage capacity. 5.Comfortable:not only is the area in contact with the glasses comfortable,but the process of using the product is also comfortable. It can be used as a diaplay for drone,unmanned vehicles,night vision and such other products. 40 CH FPV Helmet FPV Video Glasses With TFT LCD Monocular Screen 0.32"